A few exciting things are happening this week, which I am sure I will be writing about early next. Secondly, thanks to fashion blogger and fellow Melbournite Fashion Hayley's recent blog competition, I have won a ticket to Tim Burton, The Exhibition at ACMI in Melbourne and shall be attending the exhibition this Sunday. Thank you Hayley, I cant wait for this. Tim Burton, the creative genius behind Edward Scissorhands, Batman and Alice in Wonderland. An Australian exclusive, Tim Burton: The Exhibition is a landmark exhibition charting Tim Burton's creative vision and process from his earliest work to the spectacular Alice in Wonderland. Curated in direct collaboration with Burton, the exhibition brings together over 700 works, including paintings, drawings, puppets, costumes, storyboards and film. Discover the elements of gothic fantasy, dark humour and motifs that characterise Burton's work as director, concept artist, illustrator and photographer. The market is held twice a year in July and December, drawing in over 10,000 visitors to its location; Melbourne’s Federation Square which is transformed for each occasion into a design show that features the latest in fashion, homewares, furniture, lighting and so much more. 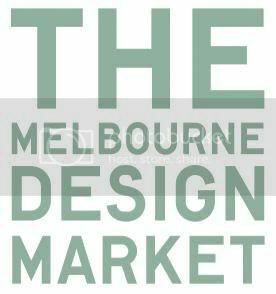 Meet the designers, enjoy fine food and coffee, and be part of the Melbourne Design Market’s own style in fostering and promoting design. It’s open to everyone and it’s FREE. I shall be keeping an eye out for any designers showcasing products made from recycled and upcycled materials.